The automobile is one of the greatest identifying characteristics of American culture. When we think about how the automobile changed our lives in the United States, it’s nearly endless. With the advent of the modern car, we could, in the simplest terms, get around easier. Think of all the places we can go, just by jumping in our car. When we first got our license as a teenager, there was rarely a better feeling – we were experiencing the freedom we were restricted to fantasizing about in adolescence. I will never forget the day I got my license. Our economy became – and still is – heavily influenced by the automotive industry. According to the Alliance of Automobile Manufacturers, 7.25 million American jobs are connected to the auto industry, either directly or indirectly. Auto industry jobs generate more than $205 billion annually in tax revenues according to a 2013 CAR study, and represent about 3.8 percent of private-sector employment. Then the automobile’s intangible qualities; like how it shaped family dynamics as station wagons became the ultimate representation of summer vacations. Trucks and utility vans are often the chosen chariots of the working class, meaning the automobile also represents dedication and persistence. 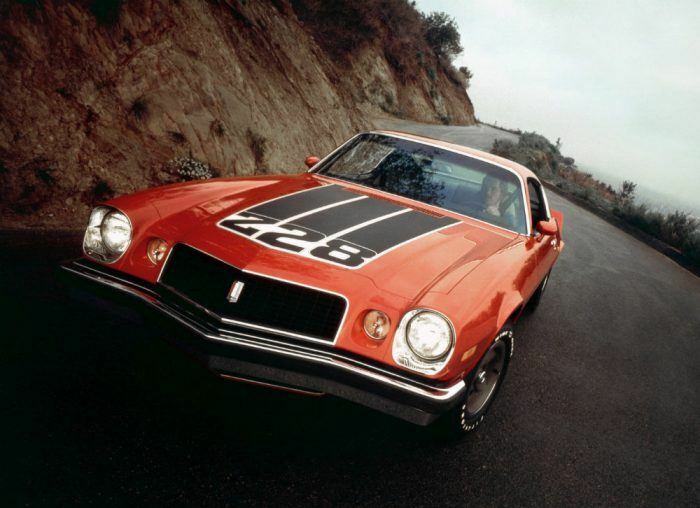 And it became the pinnacle of awesomeness when Detroit pumped out jacked-up machines known as muscle cars. And now the autonomous car. What’s up with that? How does that change American culture? From Camaro: Fifty Years of Chevy Performance by Mike Mueller, published by Motorbooks. ReportLinker, a research and technology company, sought to answer that question. What’s up with autonomous cars but more importantly, how do people view them? ReportLinker conducted their first survey in September 2016 but wanted to further analyze the findings to see if public opinion had changed positively or negatively. ReportLinker’s follow-up survey reached 830 online respondents and formal interviews were held in June. One of the survey’s reoccurring themes is an openess to automated vehicles, with some saying they don’t actually care for driving. More than one in four respondents and 41 percent of those aged 35 to 44 say they don’t get jazzed about driving at all. Another 25 percent said they don’t drive every day. Overall, six in 10 Americans and 74 percent of Millennials say they’re optimistic about autonomous vehicles, unchanged from the 2016 survey. The Fusion Hybrid Autonomous Research Vehicle is equipped with cameras, radar, LiDAR sensors, and real-time 3D mapping technology. 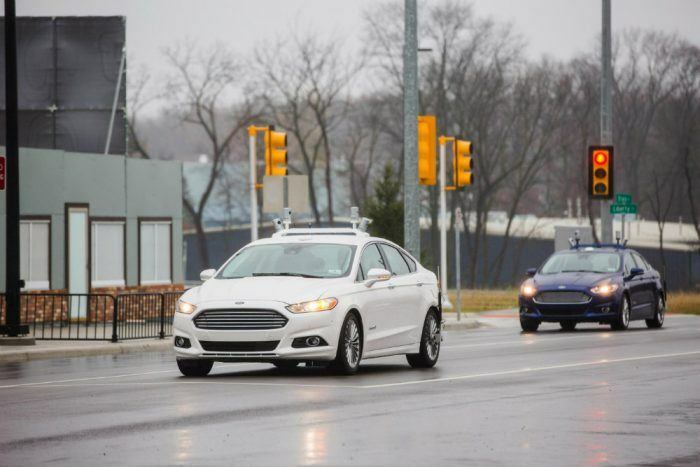 Ford has been testing autonomous vehicles for 10 years. Photo: Ford Motor Company. Another reoccurring theme in the survey is safety and comfort, but that’s a double-edged sword. Many cars today have advanced driver assistance systems, sometimes classified as active safety features. These include everything from reverse cameras and adaptive cruise control, to forward collision warning, large animal detection, and automatic emergency braking. Even fundamental and sometimes overlooked vehicle systems like traction control and anti-lock brakes fall into this category. These technologies are precursors to full automation, but their presence has helped Americans gradually accept the idea of driverless cars. 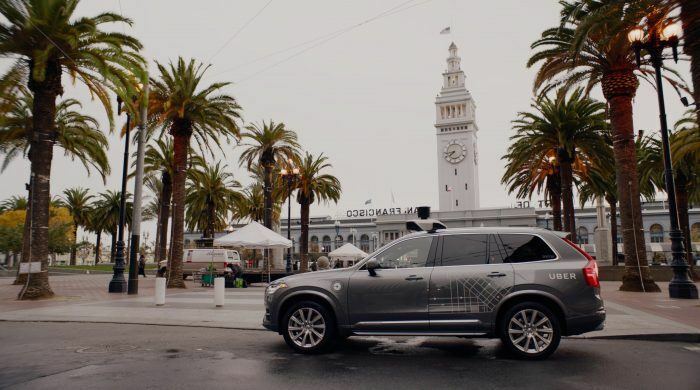 Complementing the aforementioned 53 percent of respondents who would spring for a completely autonomous car, a third said they would be interested in even a partially automated vehicle. Although increased safety is one of the brightest banners waved by autonomous driving proponents, not everyone is convinced. Two-thirds of Americans say they would not feel safe in an autonomous car and women are especially cautious, with 73 percent worried about safety. Overall, more than a third of consumers say safety is the main barrier facing the autonomous car. Apurva Aslekar, a Project Manager and motoring enthusiast from the Boston area, is among the Americans concerned about safety. “The lack of safety is one of the main drawbacks for our survey respondents,” Carpano added. 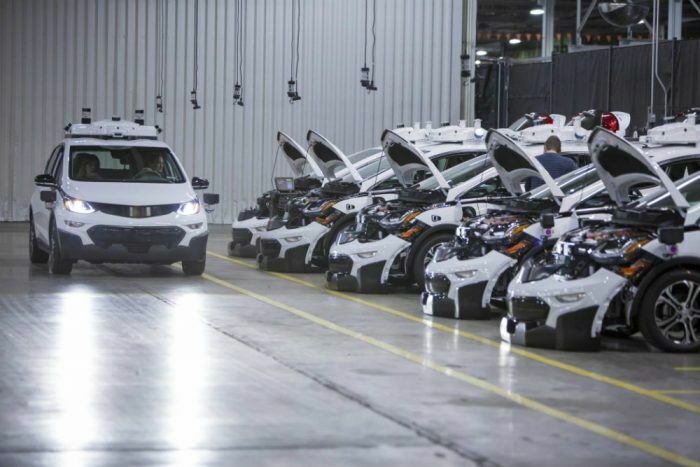 General Motors became the first automaker to assemble driverless test vehicles in a mass-production facility when a fleet of self-driving Chevrolet Bolt EV test vehicles began coming down the line at Orion Township Assembly in January. “This production milestone brings us one step closer to making our vision of personal mobility a reality,” said GM Chairman and Chief Executive Officer Mary Barra. Photo: General Motors. Aslekar maintains he would be open to riding in an autonomous car if he knew how to properly override it in an emergency. He suggests manufacturers educate consumers on the correct ways to do such a thing, and insists motorists remain diligent at all times, autonomous technology aside. While Aslekar falls in line with some survey respondents on safety, he contrasts strongly with others who derive little to no joy from driving. Aslekar has fond memories of his beloved Volkswagen, especially when it took him to see close friends and family. He even gave his VW a name and describes driving overall as therapeutic. As far as dream cars go, he fancies the iconic Ferrari F40, the Italian namesake’s best representation of a street legal racer. 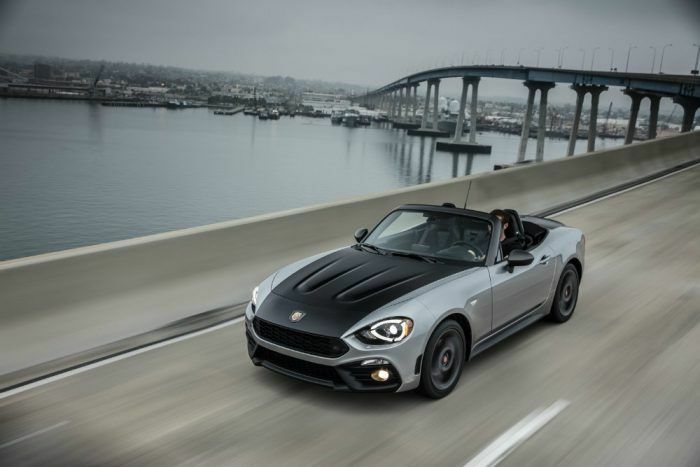 2017 Fiat 124 Spider Abarth. Photo: FCA US LLC. The ease and availability of services like Uber and Lyft have changed how we get around. Although the survey shows most respondents would prefer to own a vehicle, a growing number (35 percent) say they would utilize a driverless car through providers such as Lyft or Uber. In fact, both companies have a business model that lends itself to automated driving, and both are investing in the technology. And while an automated Uber or Lyft might get some excited, for others its more about practicality. More than half in ReportLinker’s survey (59 percent) say they do not see automated vehicles replacing trains, light rail, or transit buses. Our publication monitors and reports on autonomous driving as often as we can. I feel a journalistic obligation to educate readers on the technology so they can draw their own conclusions and examine what it will mean in their lives. I am optimistic about autonomous vehicles and believe they will deliver on the promises of better infrastructure, reduced emissions, and greater safety. That is not to say I agree with everything happening in the space – I don’t – but I am faithful we can do it, even when it looks questionable. I have my doubts about autonomous driving, but I still consider myself an advocate for it. I want to leave a world for my children where traffic accidents and deaths are a thing of the past. Pound for pound, I believe a machine will drive better than a human; that is not to say the machine is perfect or that it cannot fail, but there is no subjectivity in a machine’s decisions when it controls the wheel. Yet, how do we implement something so objective into something as subjective as cars? Where is the line between this proposed safe utopia and our human desire to pilot our favorite autos? Here in my own publication, I am contrasted by two of our strongest and most talented voices, columnists Tony Borroz and Geoff Maxted. Tony with his Italian racing lineage and Geoff with his years of experience as a journalist are not sold on the autonomous car. With their admitted passion for driving – Tony with light, agile cars, Geoff with big V8s – neither are willing to surrender that motoring love in the name of autonomy. Sure, they have concerns about safety and how the technology is moving fast, but more than anything, it’s about the freedom and thrill of driving. And even though I am a proponent of autonomous driving, even though I will probably cast my vote for the machine, I cannot blame them. If I examine closely, one of the fundamental reasons I do what I do is because I love cars. I had the Ferrari posters too. I have a vehicle I love to drive. The struggle for me sometimes is advocating for something that may alter that love in ways we can’t fully conceive. The complete study from ReportLinker can be found here. No Comments on "Interest Growing For Autonomous Cars, Safety Still Top Concern"